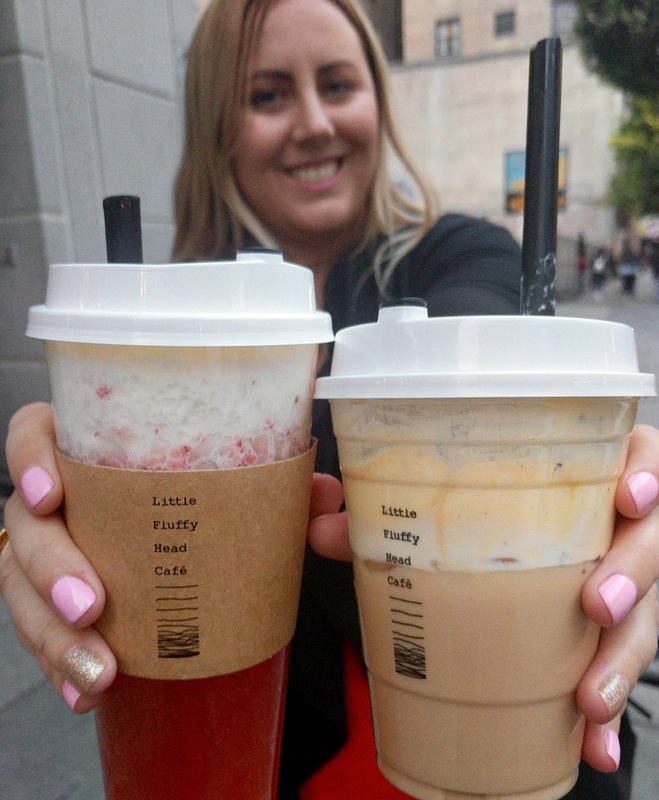 Join The Gossip: Cheese Tea is the Newest Foodie Craze & it's Delicious! When I heard there is a drink called cheese tea I got the worst image in my head, because let's be real, it sounds so strange. But then I learned that the cheese used is whipped cream cheese and my whole perception changed! 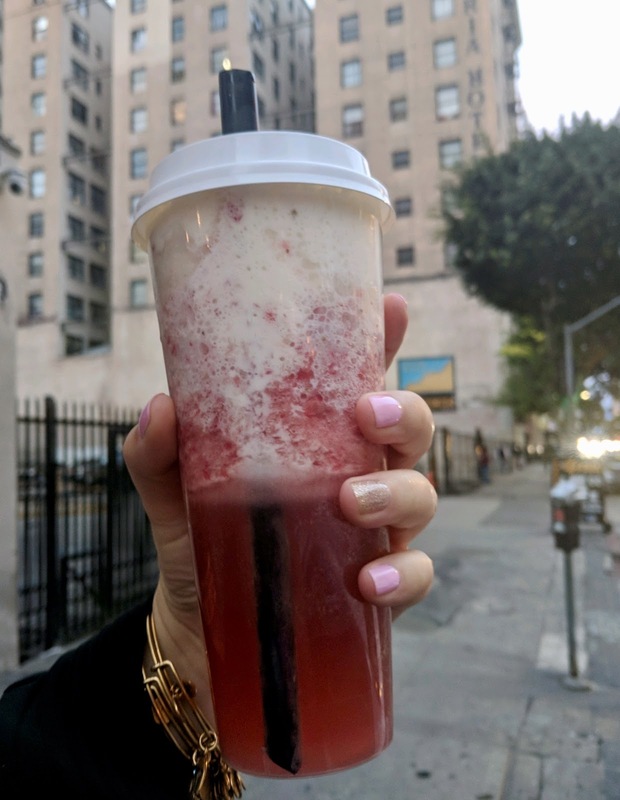 Little Fluffy Head Cafe in Downtown Los Angeles has brought a foodie craze from Asia to the States and people are big fans. 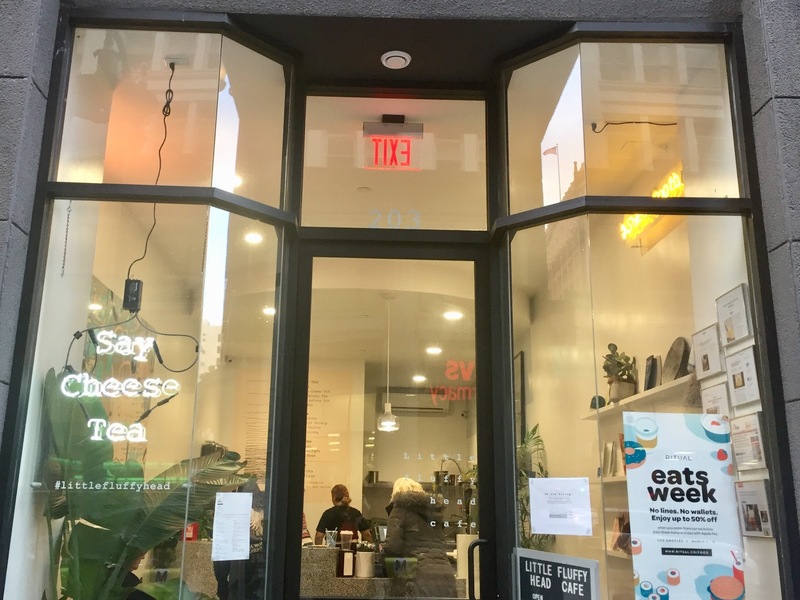 A small cafe destined to do big things, Little Fluffy Head just opened in August 2017 and The Washington Post, ABC News, Refinery 29, and many more outlets have already featured their cheese tea. In fact, they've pioneered the craze in LA are were the first ones to bring the treat to the city. Let's cut to the chase because you're probably wondering, what is cheese tea? Little Fluffy Head makes their cheese by mixing cream cheese, whipping cream, milk, salt, and sugar to create the perfect mix of savory and sweet. That cheese is then poured over a traditional tea, like oolong and green tea, to create a uniquely delicious concoction. During my visit I tried the Strawberry Cheese Tea that is made with real strawberries and jasmine green tea, then topped with cheese. It tasted like I was sipping strawberry cheesecake and nothing like I'd ever had before. So incredibly delicious. My friend got the Dirty Mess Milk Tea, black milk tea with creme brûlée cream and crushed Oreo topping, and raved about it as well. It's been less than a week and both of us want to go back and indulge again! We visited on a Saturday evening and there were a few other customers, so Little Fluffy Head is doing well for themselves. The staff was very friendly and explained the items on the menu and made sure we knew what we were ordering, let us customize the level of sweetness, and explained how best to consume our teas (there is a special lid that allows you to drink through a straw or lift a tab to forgo the straw and really enjoy the cheese). Because Little Fluffy Head is located in DTLA, it was a bit rough to find the cafe. We circled a few times before spotting it. When visiting, it's probably easier to look for the CVS on the intersection of Spring and 7th then you'll find them directly across the street, just a few stores down from the corner. There is no sign on the building so keep an eye out for the Say Cheese Tea sign in the window. Despite the difficulty of Downtown LA and finding parking, it's so worth it! 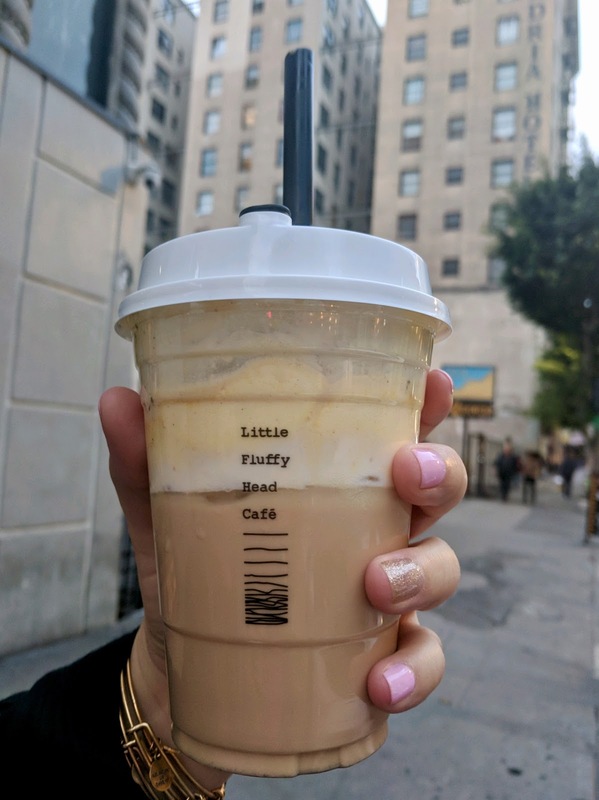 Little Fluffy Head Cafe is offering something uniquely special in a market where it's destined to thrive. I won't be surprised if we see this craze sweep the nation. 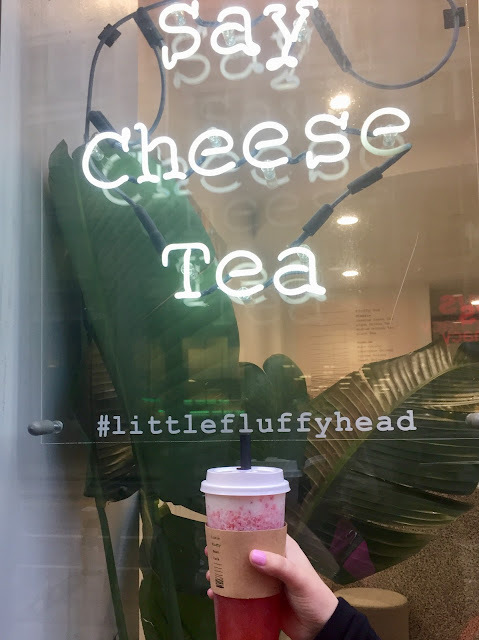 Have you heard of or tried cheese tea? Let me know in the comments! I was all in until you said it includes actual tea. Hahaha! Your strawberry one sounds pretty good though! OH MY, I need this place to open in Boston!! Sounds so yummie! !